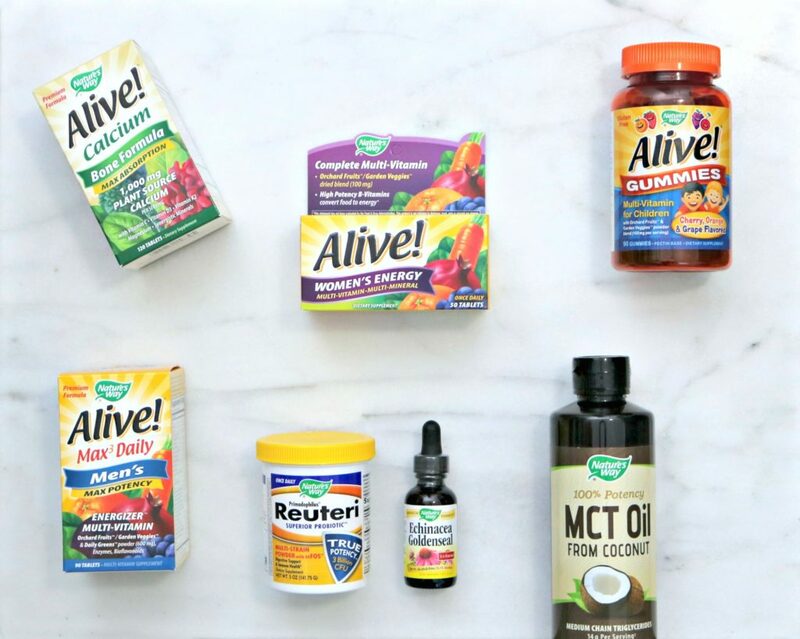 You are here: Home / Health / iHerb and Nature’s Way Helps My Family Stay Healthy All Year Long! Note: This post is sponsored by iHerb. All thoughts and opinions are honest and my own. 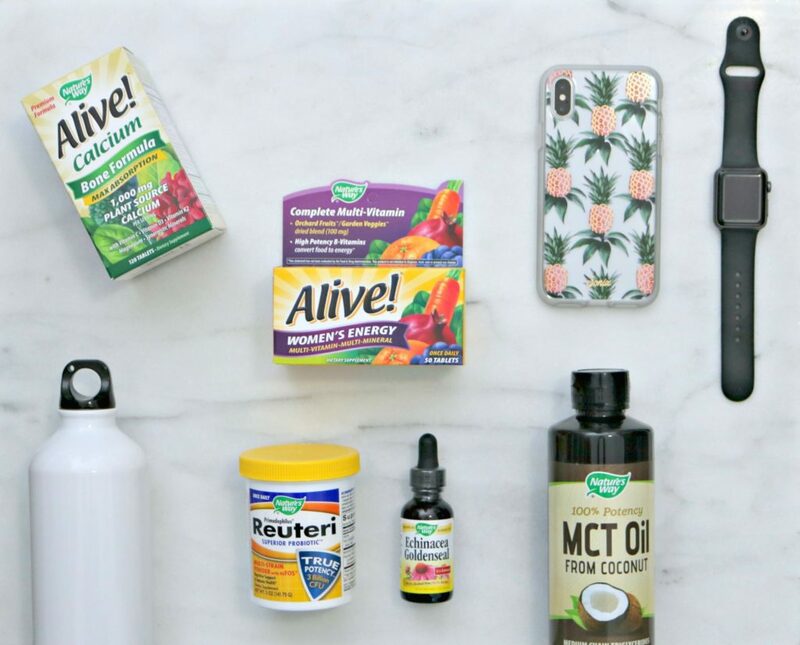 Stay Healthy with iHerb and Nature’s Way! It may be the holiday season but, health is important every day of the year. My family and I will be able to stay healthy through all the hustle and bustle because we will all be using Nature’s Way products. Not to mention, we’ll be eating healthy foods and exercising. While there will be indulging too, we will try to balance it out and stay healthy with iHerb and Nature’s Way! When it comes to shopping, I much prefer to look online before I head out to the store. They often have great prices and a diverse selection. When I go to specialized health stores, I find that while most staff are well-intentioned, they tend to push items that you may not need and you often forget why you went in there in the first place. That’s why I decided to look online and found iHerb.com and I am glad I did. They carry over 400 Nature’s Way products that can be shipped to over 160 countries. Plus, their team can help you find what you need and they can do it in 10 languages. How cool is that? 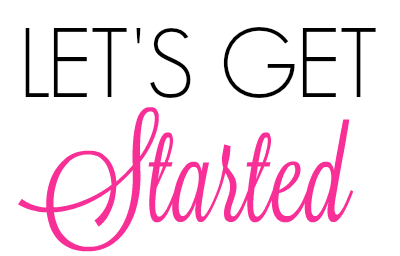 It was super simple to find the products that I wanted and one of the best parts for me was that I took my time and found what I wanted. No pressure. Not to mention, they had a PayPal option. In less than 5 minutes, I had ordered and paid for what I wanted. It arrived quickly too, and it gave me the option to pay the customs right at check-out. I’m not joking when I say so easy! Read on to discover the health regimen we are keeping up this winter and beyond. Plus, the products that we are using. I find that when things are regular, and I mean ALL things are regular, life is much better. I like to make sure that our digestive systems are in excellent working order. I make sure that we have a dose of Nature’s Way Primadophilus, Reuteri Superior Probiotic, Multi-Strain Powder in between our meals. That keeps things flowing and we are much happier for it. We add it to cold drinks or in the girls’ cereal, yogurt, and applesauce. It makes it super easy for them to take in and I know that they’re getting healthier from the inside out. The rest of my family drinks a lot of milk and eats quite a bit of calcium-rich foods. Since I am getting older, I find that I need more than I am currently getting in my diet. 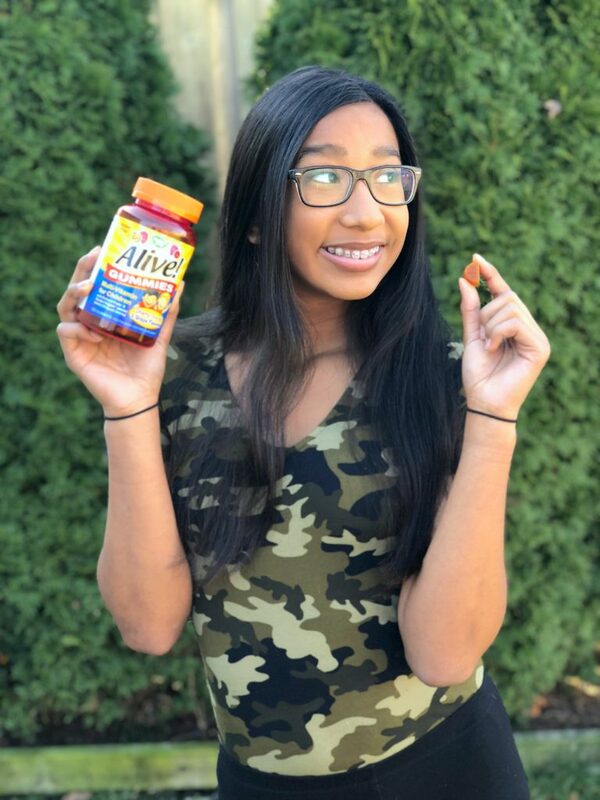 So, I supplement with the Alive! Calcium Max Absorption Bone Formula twice a day. I love that it not only provides extra calcium to my body, but also vitamins D3, K2, C, and magnesium. Health is something that we often take for granted. I try my best to stay as healthy as I can so, I have recently begun exercising again. I am trying to lose some weight, and my husband has decided to join me on this adventure. So, I track my food on my phone, count my steps with my Apple Watch, drink plenty of water and take my supps. To give us a little boost with the weight loss and exercise, we are using the MCT Oil from Coconut from Nature’s Way. It is simple to take and has so many health benefits. I found it was easy to dispense as well. We take it shortly before we work out and it is high-quality stuff! We love it. TIP: Add it to your coffee or smoothie for a delicious boost! My entire family begins the day with taking a multivitamin after we eat our breakfast. Now, since we are all different, we take one that meets our individual needs. My husband takes the Alive! Max 3 Daily Men’s Max Potency, while I take the Alive! Women’s Energy Multivitamin-Multimineral. They are tailored for what we need and I feel like I have more energy and don’t crash midday. The health of my kids is something that is extremely important. While I tend to be a flexible mom, when it comes to their diet and health, I tend to put my foot down. Luckily, they are on board and take their supplements too. They see us taking them and it’s become a part of our everyday routine. They love their Alive! Gummies Multi-Vitamin for Children in cherry, grape, and orange flavors. The fact that they are chewable and gummies is a plus! Along with their smoothies and yogurts packed with goodness, they’re healthy and that makes this mama happy. This is the time of the year when colds and the flu seem to be rampant everywhere. One thing is for sure, I really dislike the spread of germs. I know that I cannot completely prevent us from catching a cold but believe me, I try. One of my go-to options is Nature’s Way Echinacea Goldenseal. I just add a drop to everyone’s water a couple times a day. This seems to keep us healthier during the worst of it. Just remind your kids to use proper handwashing skills and you’re golden. I know that may sound weird but, it’s SO important! It really doesn’t get easier shopping for supplements when you shop with iHerb.com. Since they offer so many Nature’s Way products, they will have exactly what you and your family needs. I love it when shopping online is seamless and it was extremely easy to shop with iHerb and best of all, my products arrived quickly. It beats going to the health store and feeling overwhelmed. I can take my time and iHerb has a comprehensive listing of each product. I can look it all over at my own pace and not feel rushed or pressured like I do in-store. 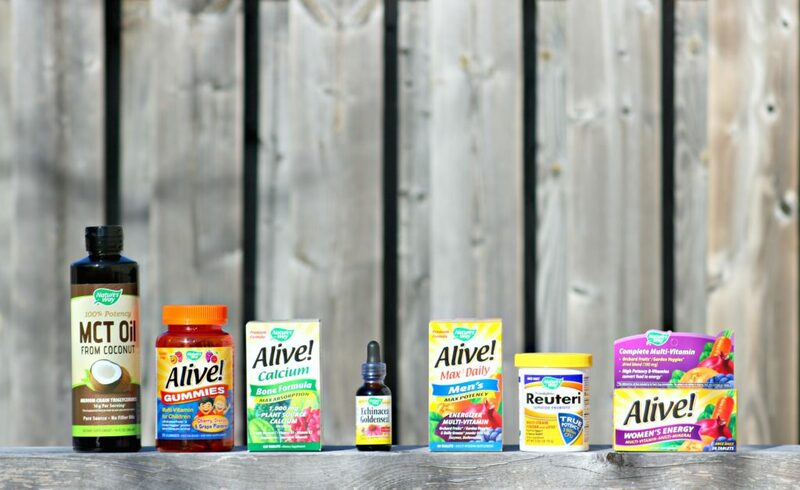 While the products above are the ones that my family is using right now, I am always looking to see what else they have that might benefit my family. After all, keeping my family healthy is my top priority and I can count on iHerb.com to help me every step of the way. If you want to give it a go, I have a special offer for you guys! All new customers will get a discount on their Nature’s Way Order. It’s a great way to give them a try! For more information, visit iHerb.com and don’t forget to get social with them on Facebook, Twitter, and Instagram! Which supplement would you like to try? Previous Post: « Go! Go! Smart Friends Shimmering Seashell Castle + Giveaway! Thanks for the reminders,great tips! I take Alive! supplements every day. I love them, and they’re easy to take. Yes, they are so easy to take! Nature’s Way is such a great vitamin line. Their supplements help keep me feeling my best. They’re the best supplements I’ve ever used. 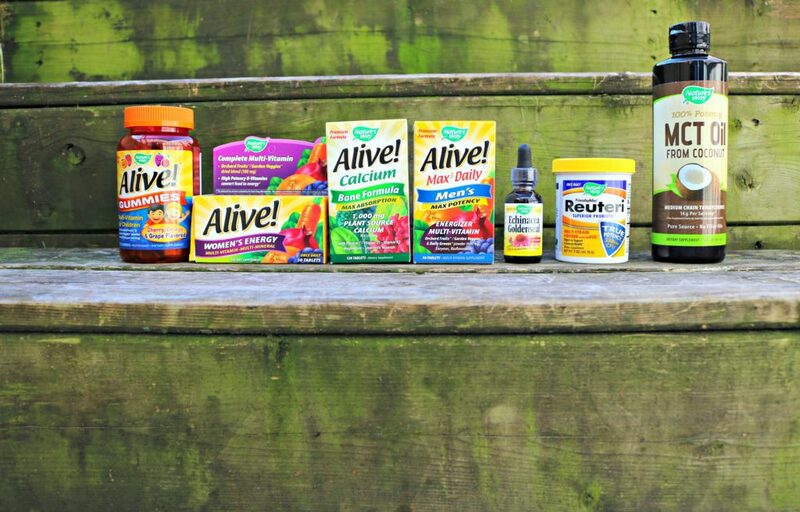 You’ve got a great variety of supplements here to keep your family healthy during the winter months. I swear by echinacea! Yes, it is a great way to stay healthy. I need to over dose on these soon! My family who were are about to go visit just got over the flu! I SO don’t want to get it! I will do whatever I can not to get sick! Oh no, better stock up! Those seem like a great list of supplements and they have a lot of vitamins and oils that you can’t get in a balanced regular diet. I love the Calcium and Bone Formula we need to prevent osteoporosis. Yes, for us ladies, it is a must. I’m so bad about remembering to take vitamins and supplements but I think I need to add something to my routine. I’ll check out this line. It takes time and practice! These sound like really great products. I need to give the probiotics a try. It is such a great thing to add to your daily intake. I love the Alive brand! They really do work amazing and taste good! I use them all the time. Sweet! It is great to try different things and even better when they work. 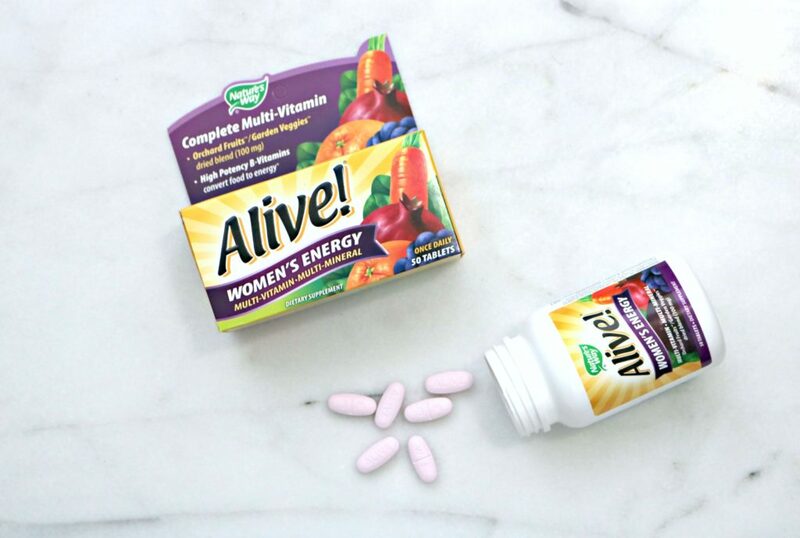 We love this brand for vitamins! We take them daily to keep the colds away. It’s definitely important to keep up with those nutrients as we head into cold and flu season. The supplements are going to help a lot. I so need to start taking vitamins. I am going to look into this brand for our family! Our kids love the Natures Way Gummie vitamins, no complaints to get them to take em every day. Makes it easy when they taste so good! I will have to check out iHerb. Nature’s Way is a great product line. I have been looking to boost my immune system right now. Plus, with the holidays coming, it is a great time to find a balance. I take a daily multivitamin. I haven’t tried ordering from iHerb but it sounds like I should. I find the prices are really good. I am impressed! I’ll have to check out iherb.com. Staying healthy and keeping my family healthy is important to me. When my children were younger they always took a multivitamin. Their needs have changed since they have become teens. I really like how easy iherb.com is to use and that they have a PayPal option. Yes, I love that option too. Makes it easy! I have heard of Nature’s Way but not this line of products. I would like to try the adult multivitamins as well as the probiotics as my diet has not been the best lately because of overwork. Yes, they are such high-quality. We are loving it! My grandkids love the Natures Way Gummie vitamins!